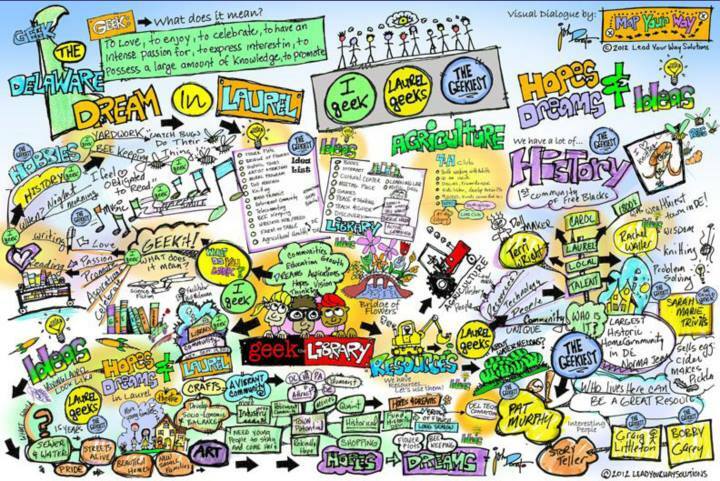 We Geek the Delaware Dream is a statewide initiative to help citizens realize their dreams for the future and position public libraries as change agents. Visual maps are specific to the community conversations that took place at 6 public libraries. Recently on the IMLS facebook, Delaware Libraries, Laurel’s Visual Map was featured and also tweeted. Check it out!